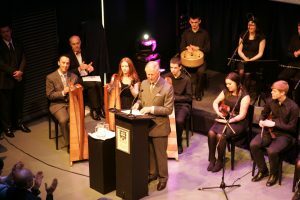 The royal visit last week could cost Sligo County Council between €300,000 – €500,000 and the government will be asked to foot the bill because of its extraordinary nature. 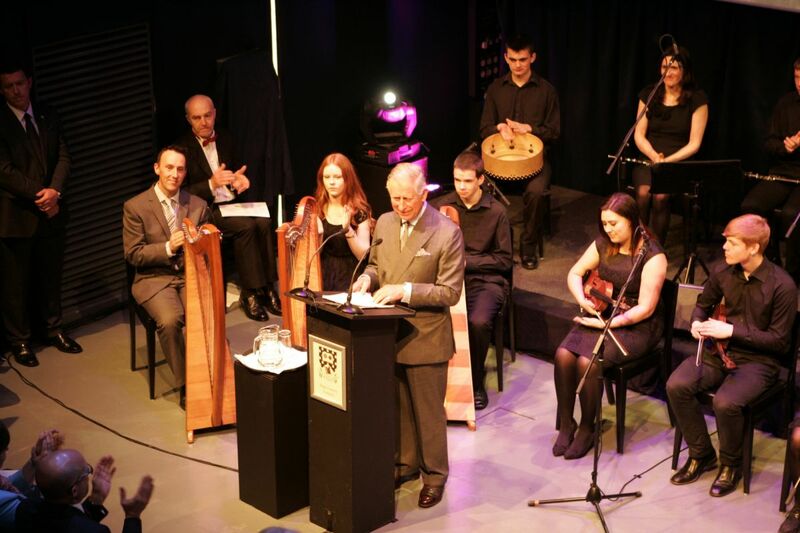 VISIT: Prince Charles delivers a speech at the the Black Box Theatre in The Model during last Wednesday’s royal visit to Sligo. The council is still calculating what was spent in ensuring that everything was shipshape at all the public venues visited by Princes Charles and his wife on Wednesday week last. When this is completed the council will be making a submission for funding from central government. The Council will argue that it treated the event as a separate project rather than as part of it’s annual work programme. “This was due to the national and international nature of the visit, the significance of the Sligo element to Anglo/Irish relations and the ongoing embedding of the Peace Process”, a council spokesperson said. The spokesperson said that the reason that an application for funding had not already been made is a result of the short lead-in time for the event following its announcement by Clarence House. Council CEO Ciaran Hayes has said that overall spending would be at least €300,000 and could be as high as €500,000. He also described the money that had been spent as an “investment for Sligo”. Mr Hayes said that the county should reap the rewards through more tourists. The costs to the council include landscaping, footpath and road repairs, crowd control barriers amd marquees. There was also quite a lot of work carried out both outside and inside The Model. There is also likely to be a bill for overtime for council employees.